When producers Kenny “Dope” Gonzales and Louie Vega formed Masters at Work in 1990, they proceeded to create a catalog that contains some of house music’s most recognizable classics. Such is the case when two great creative minds come together to collaborate. It seemed that from the time Alvin Ailey hit the streets of The Big Apple in 1954, he and Duke Ellington’s paths were destined to meet. Both he and Ellington were born in different areas of the country but had come to New York City to pursue their art, although by the time young Ailey had arrived, Ellington had already cemented his legacy as a jazz virtuoso. However, it didn’t take long for Ailey to begin to carve a name for himself in the world of dance. With pieces like “Revelations” and “Blues Suite”, the Alvin Ailey American Dance Theater, which was formed in 1958, quickly became a sensation in the modern dance scene. Like Ellington, Ailey was known for a unique style infusing ballet, Horton, jazz and African dance techniques. Also like Ellington, Ailey lifted his art above the grouping of race which allowed his work to be recognized as an American art form the world over. In 1970, Alvin Ailey and Duke Ellington’s paths finally met. American Ballet Theater commissioned Ailey to create “The River”. The ballet was the first collaboration between Alvin Ailey and Duke Ellington. Ailey would again refer to Ellington’s music when he created “Night Creature” in 1974 and “Pas de Duke” in 1976. 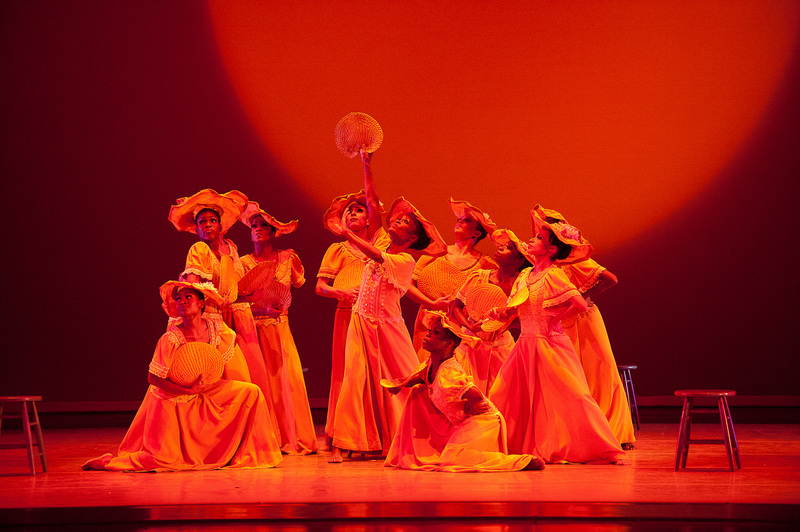 For the 2013 season, Alvin Ailey American Dance Theater paid homage to these late geniuses and their collaborations by premiering new productions of “The River” and “Pas de Duke” at the New York City Center. Along with the first season’s performance of “Night Creature” and Ailey’s most seminal work, “Revelations”, the debut of these works was an evening of remembrance, revelry and appreciation for beauty, physicality and style in motion. AAADT weaves athleticism and artistry so seamlessly that it takes the medium of dance to another level. Visually stunning and always breathtaking to behold, Alvin Ailey American Dance Theater never fail to provide its audience with the most soul-stirring shows they will ever see. It is where perfection and performance meet. This sentiment simply radiates through “The River”, a work that utilizes the entire company and is as moving, fierce and romantic as its namesake. 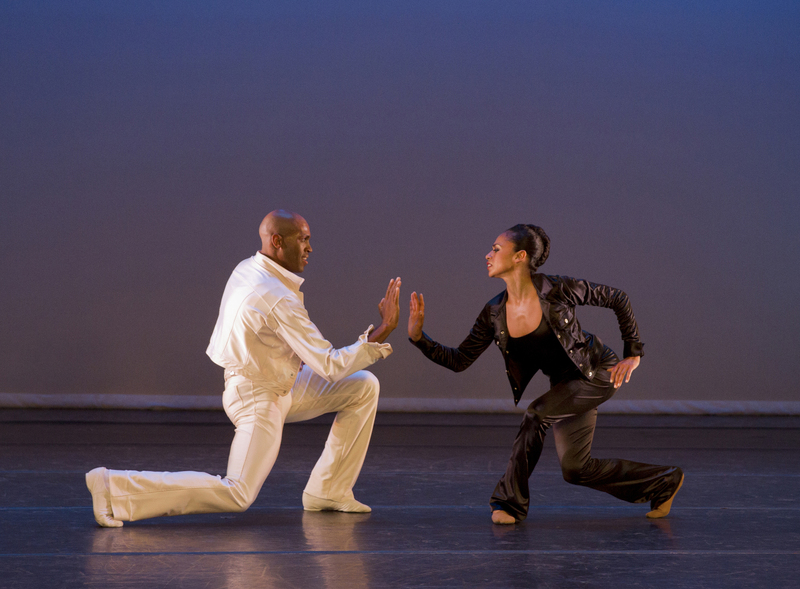 With the accompaniment of Duke Ellington’s score driving this piece forward, the love Ailey had for dance is truly exhibited. The way in which he carefully blended classical ballet elements together with modern techniques is nothing short of masterful. “The River” is energetic; it rolls and sweeps the audience in its majesty. It is a living example of the brilliance of these two men. 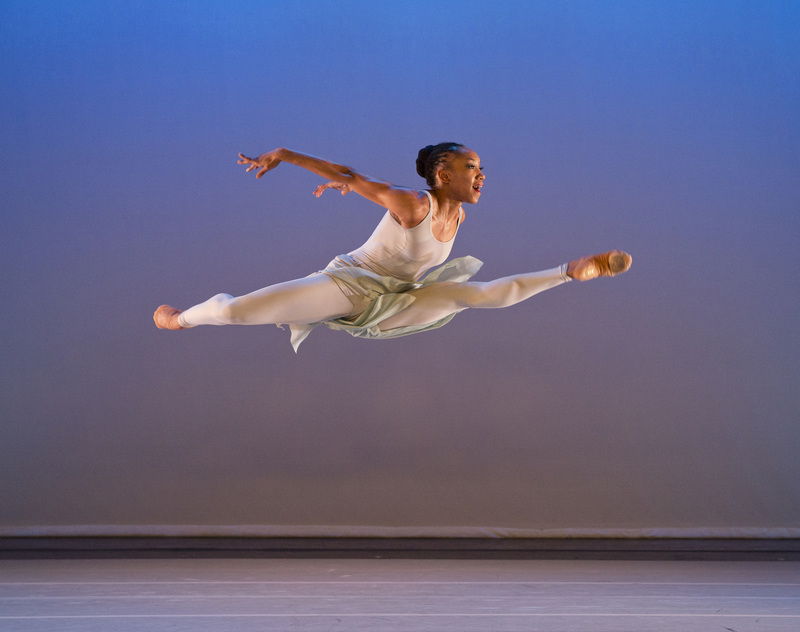 “Pas de Duke” was first created for Ailey’s muse Judith Jamison and ballet superstar Mikhail Baryshnikov. Black and white, modern versus ballet, Eve and Adam, “Pas de Duke” is witty, flirtatious, sophisticated and utterly charming. Ailey must of thought of the song “Anything You Can Do” when he choreographed this piece. As one of the children of the night, I have always had a fondness for those who skulk down sidewalks, saunter into nightclubs and compete with colored spotlights for the glory of a night filled with sweat and velocity. On many occasions, I have been one of them creating new realities on the dance floor. Ellington said, “Night creatures, unlike stars, do not come out at night, they come on.” I would say they come out to be alive, alive in a way they can’t be when the sun is shining. 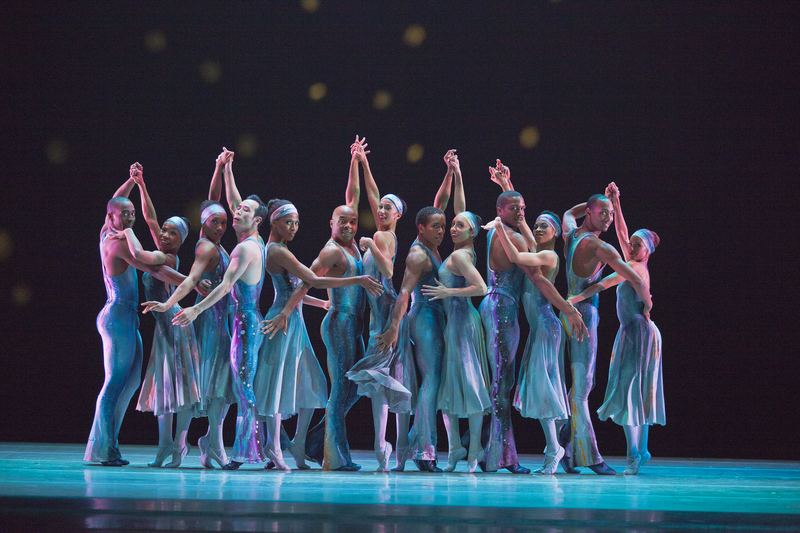 Alvin Ailey’s “Night Creature” is overflowing with life. The company slinks, leaps and struts with authority. It defines the sumptuous nightlife that New York City is known for. There can be no better end to an evening with AAADT than “Revelations”. It is the work that Alvin Ailey is most known for and definitely on the top my list. Seeing Alvin Ailey’s choreography paired with Duke Ellington’s music gave me a few revelations of my own. There is no debate why the majority of their works are regarded as masterpieces. I would liken the Ailey-Ellington collaborations to an artistic atom bomb – an explosion of epic scale whose far reaching effects have spanned over generations.